Self-employed people should have a basic understanding of their bookkeeping needs, even if they have an accountant who does their taxes. By understanding bookkeeping procedures, the self-employed person can be sure to save the correct information and make it easier to produce accurate books at the end of the year. Use bookkeeping software even if you do not prepare your own taxes, according to financial expert Elizabeth Wasserman, writing on the Inc.com website. Bookkeeping software will help you to remember what types of records you need to keep, and it will also help you to develop a running log of your income and expenses. This will prevent mistakes made by trying to remember income and expenses at the end of the year. You can also generate more detailed reports for your accountant, which will decrease the amount of time he has to spend preparing your books, lowering your bill. 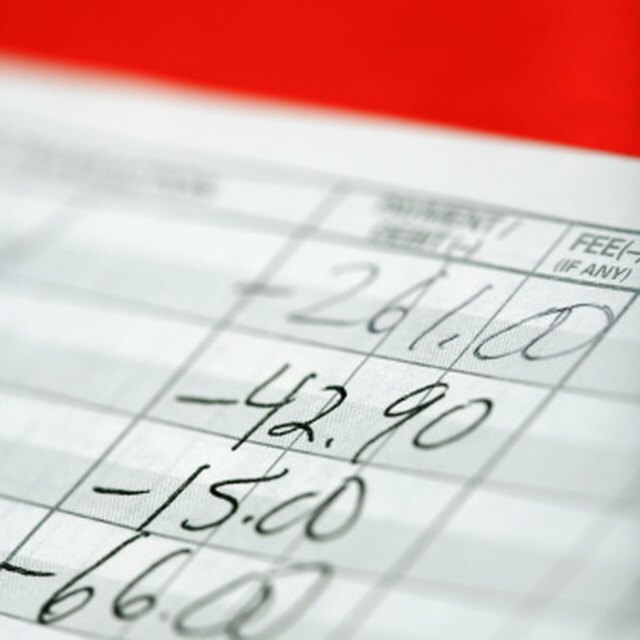 Keep receipts from every purchase you make and every activity that you pay for while doing business. Keep every meal receipt from business lunches, the dry cleaning receipts for your suits and the hotel receipts from business trips. Purchase an expandable file folder where you can keep your receipts organized. Organize your receipts by function to make them easier to catalog. For example, meal and concert ticket receipts for entertaining clients can be filed under the "entertainment" tab in your expandable file folder. Keep logs of the things that you do for business but cannot get a receipt for. The most common of these kinds of expenses is travel mileage. Any time that you use your personal vehicle for business purposes you are entitled to a tax write-off for each mile. Create expense forms and fill them out in great detail to help catalog your expenses that cannot be backed up by receipts, sign them when the expense is completed and file the forms in your expandable file folder. What Is a Business Ledger? Maintain separate bank accounts, credit-ard accounts and any other kind of business services from your personal accounts. When the year is done, it is easier to track your business activity and keep your books balanced when you already have your personal expenses separated from your business ones. Keep all of your business statements and account invoices from each month and file them away as backups to your receipts.